Baking does not only makes friends but baking makes man friends. Show up to a party with a plate of brownies, and tell me that you didn’t get a phone number or three. This cake made me a super special man friend. After a few too many happy hours, it was time to step it up and make dinner together. I received a romantic email that was something along the lines of hey, yo, wanna make dinner tomorrow? Being a lady I waited the appropriate amount of time (in this case, it was roughly 9 hours) to respond. But I began to prepare immediately. I made lists. I went to three grocery stores to find truffle salt. I decided I would also make cake. I am going to share a secret. Girls are tricksters, especially in dating the kitchen. 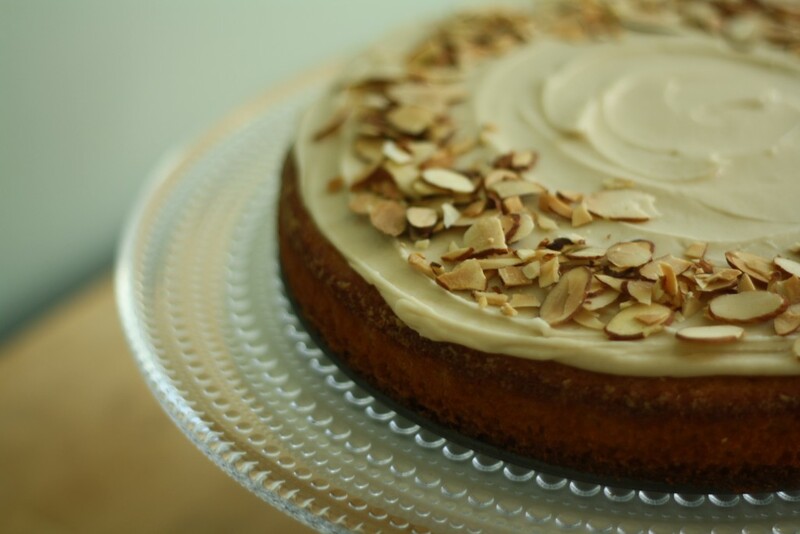 To really master the art of kitchen trickery make this cake. No one will know that you did hardly any work. So now, after one year of shared junk mail, half a closet, and a toilet seat that is never down, I made this cake again to celebrate us being roomies. 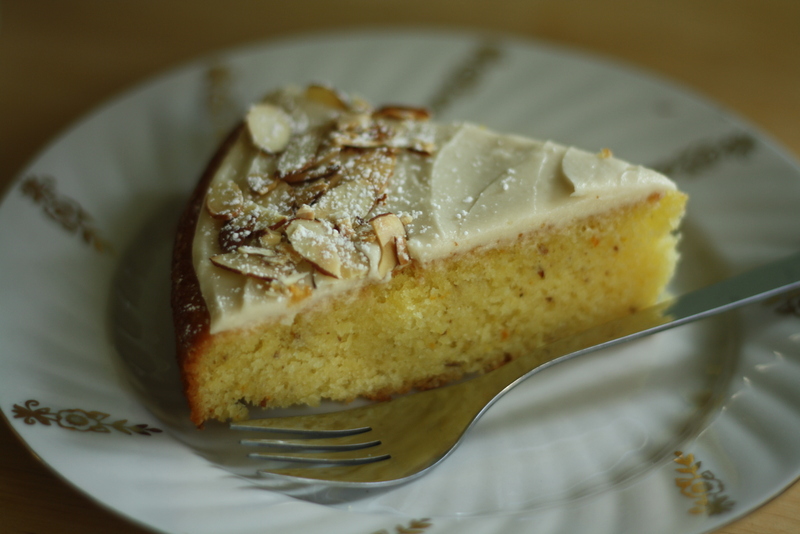 If my heartwarming and romantic story didn’t sell this cake, then the browned butter, almonds and orange zest probably will. Much to my chagrin, I have yet to master the art of multitasking. This is what happens when you email. 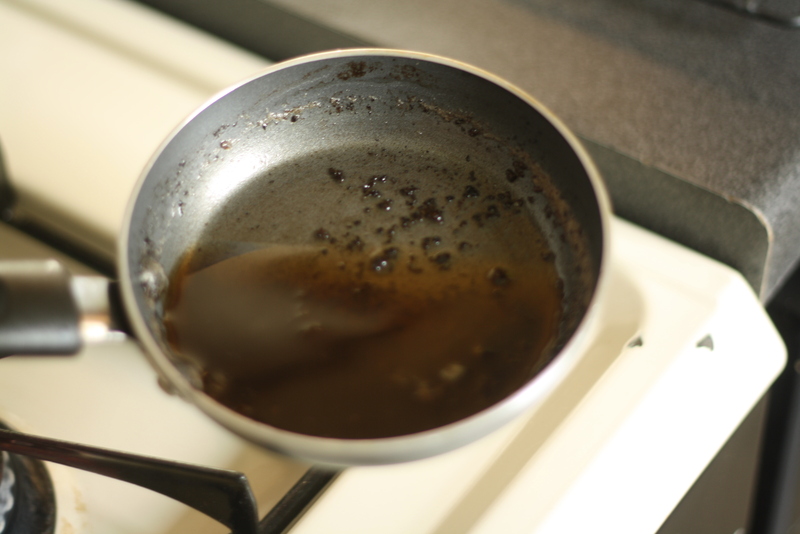 Not a cute little pan of browned butter like I had hoped for, but burnt butter. I guess I was feeling over confident after my tutorial. This is an Italian grandmother kind of cake. 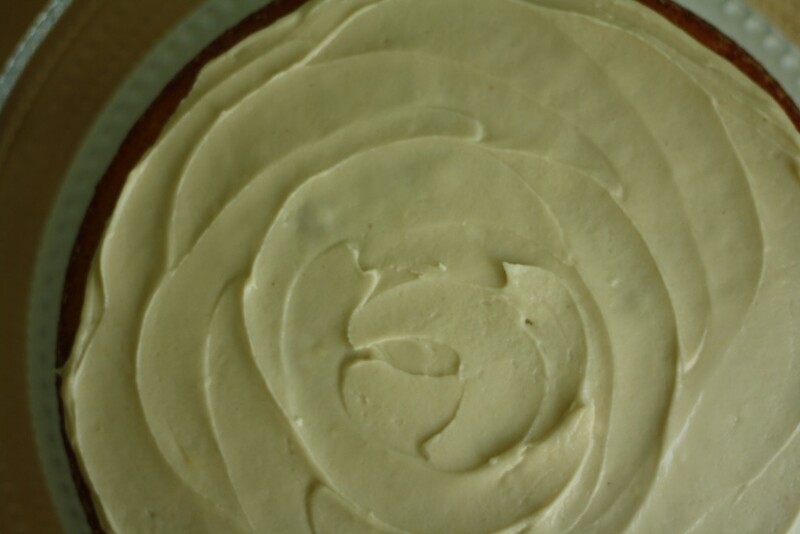 With just a bowl and a whisk, the most amazing cake you’ve ever tasted will come out of the oven. For serious. Preheat the oven to 350. Butter and flour a 9-inch springform pan. In a small bowl, whisk together the flour, almond flour, baking powder and salt. Whisk the eggs in a medium bowl, then add the sugar and blend throughly. Next add the olive oil and stir to combine. Then the vanilla, zest and orange juice and whisk throughly. Finally, add the flour mixture and whisk until smooth. Pour into the pan, and bake for 45 minutes or until the cake pulls away slightly from the pan and a tester comes out clean. 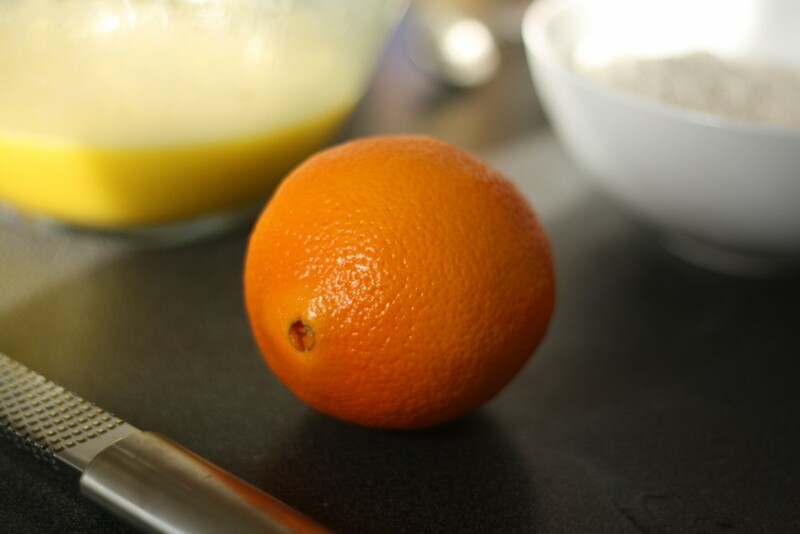 To make the glaze, combine the butter, powdered sugar and a few drops of orange juice in a small bowl. Mix until mostly combined, and then one tablespoon at a time, add the cream until the glaze is smooth and spreadable. 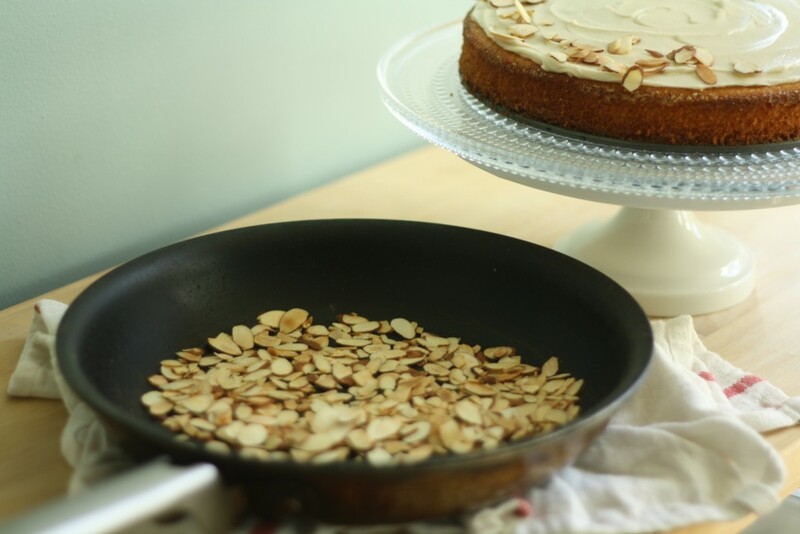 Spread over cake and garnish with the toasted almonds. Just like with love, this cake just gets better with age. It is truly the best for breakfast on day three. Note: I’m categorizing this as both a “dinner party dessert” and an “everyday cake” since it is both fancy-looking and easy. Make it in a loaf pan, and it would be the perfect brunch treat! Great lead in story for this recipe. 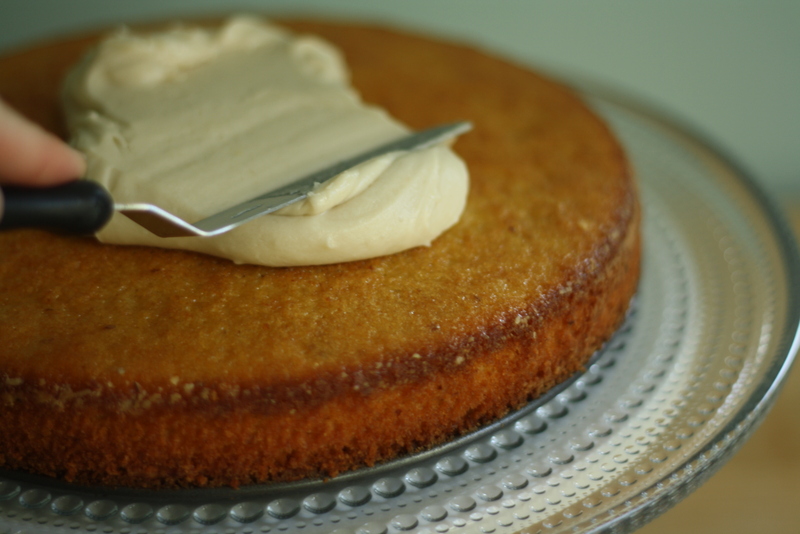 I have had olive oil cake, but the addition of the almond flour and the orange has me hooked. I have to admit though you pictures had some influence also-stunning. I saved the recipe-thanks for sharing. 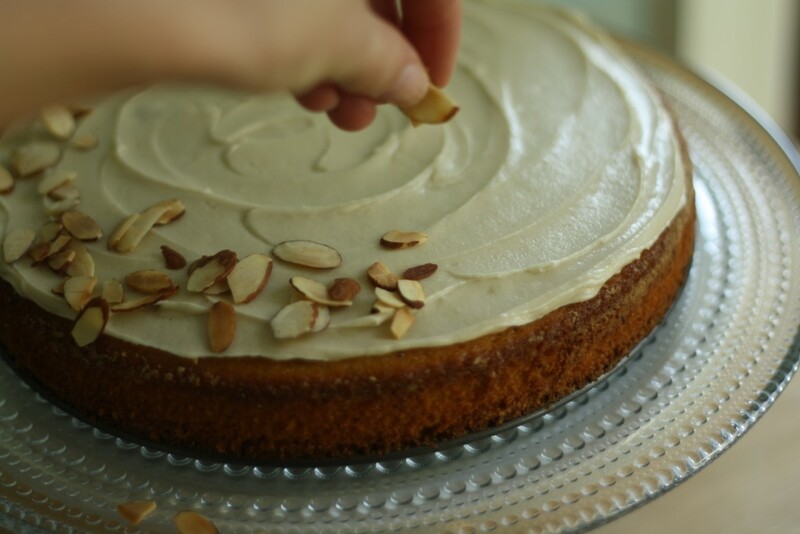 Is it weird that I have always associated you with almond olive oil cake? It is my favorite Lillie comfort food. Awesome post!! Aw – that makes my heart warm and happy! Hi Lillie, what are your thoughts on serving this cake unfrosted? 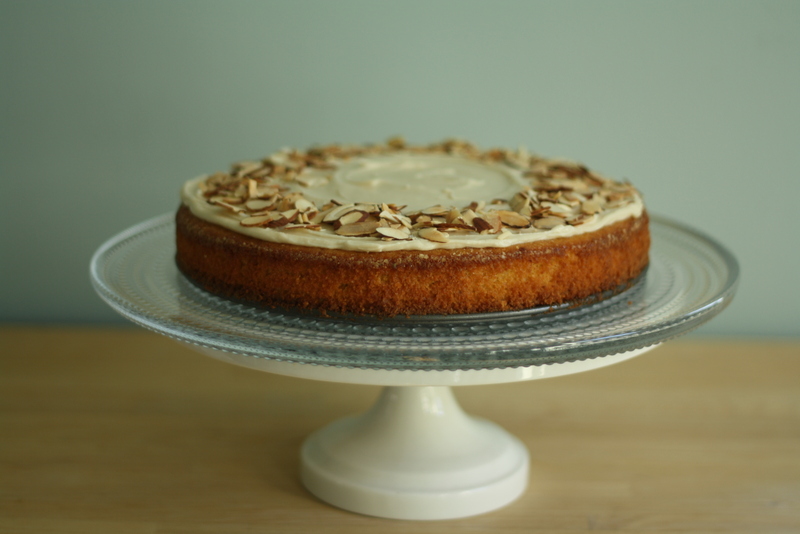 What about a little simple syrup on top to stick the almonds on? Hi Sarah! The cake is plenty moist and you’d be fine to skip the frosting. I might sprinkle a handful of almonds on top before baking to add a little crunch and then dust with powdered sugar when it has cooled. Hope this helps! Thanks, I was thinking about that but was afraid the almonds might burn. But I trust you! Lillie, I’m obsessed with your blog! I constantly check it during class – don’t tell my grad school professors. 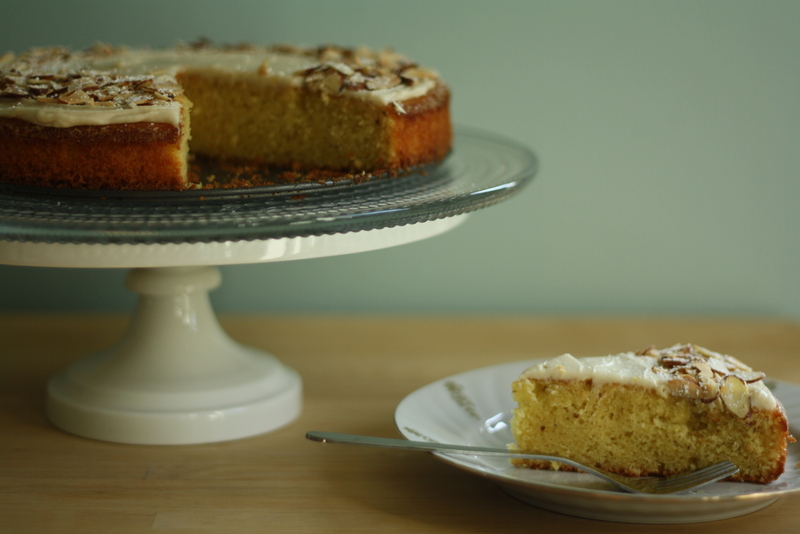 Just wondering about this cake…would it be possible to make it with another kind of flour? I’m on a grad school budget, and can’t go out and buy more ingredients for just 1/2 cup. Thoughts? So happy to hear the cake was enjoyed Lina!